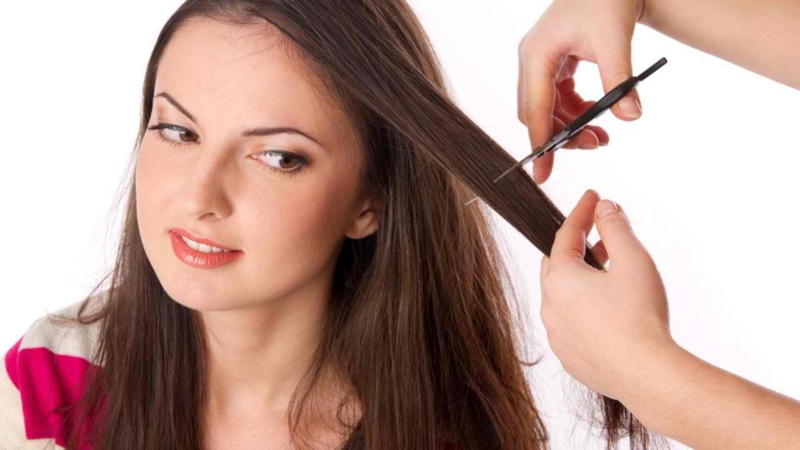 The most common question of women in the salon is if they should keep their hair long or cut it short. The hairdresser may give suggestions based on different factors but the final decision will still be from the client. This article will give you different tips when deciding for the hairstyle you would like to flaunt. This is the first thing you must consider when thinking whether or not to cut your hair because some hairstyle only look good in a certain face shape. Choosing the right hairstyle for the shape of your face will hide the not so pretty attributes of your face and bring out your natural beauty. Look at the picture below to find out which shape your face is. If you have an oval shaped face, you can go with just about any hairstyle. You may try a collarbone length bob and then try to shorten your face with a side swept bangs. Or you may also try a long curly hair with a center part. If you have a round face, a back swept hairstyle can lessen the roundness of your face and a pixie can do the trick. If you want a longer hairstyle, go for a layered hairstyle to keep some waves away from your hair. If you really are a fan of bob, try wearing it in a messy style or have the front layers of your hair longer going shorter to your nape. If you are still thinking “Should I cut my hair since I have a round face?” the answer is yes, you can and there are lots of hairstyles you can try. Squared faces have strong jaw lines and strong hairline. Flaunting a short to medium hair with soft waves can add roundness to the face. Long tresses with side bangs can help draw the attention away from the square face and add softness to the face. Heart-shaped faces are wide at the temple and have a narrow chin. Wearing chin-length or long hair will add width to the chin. Putting a deep part on a side will also emphasize the eyes. Avoid hairstyles that will add width to the forehead. Besides, putting on bangs will also look good. If you are still in the dilemma of “Should I cut my hair?” look at your body shape to weigh your options again. If you have an athletic body, any hairstyle will look good on you. If you have a fuller body, avoid hairstyles that will make you look heavy like overly long and straight hair or a hairstyle with full volume. For petite bodies, medium to long hair will do the trick. For small body types, avoid really long hair because this will make you look even smaller or shorter. Before asking your hairstylist to chop your hair off, you not only have to ask yourself "Should I cut my hair?" but also have to ask yourself "Why do I want to cut my hair short?" One of the reasons some women want a dramatic change in their look is because they want to feel “renewed” usually after a bad breakup. Thinking logically why you want to change your hairstyle is a great way to avoid regret and putting up with a hairstyle you never really wanted in the first place. A hairstyle should also complement the texture of the hair. Long and straight tresses will not work in a coarse hair. Forcing this kind of hairstyle in a coarse hair will only make you stress yourself out in the morning trying to tame and style your hair. Are you still asking yourself “Should I cut my hair?” Hairstyle must also be suitable with the kind of lifestyle you live. If you are the wash and go type, a pixie will be suitable. If you don’t have much time to fix your hair in the morning, short styles are not advisable. This is because short hairstyle removes the hair’s weight, making the roots go in whatever direction and making the styling of hair time consuming. Aside from choosing the right length and hairstyle, adding the right color will also add to the new look you want to achieve. Aside from this, the hair must also be cleansed with the right and gentle shampoo. Still in the dilemma of “Should I cut my hair?” Just consider your hair strands. Your hairdresser can tell if your hair strands are thick or thin. For thin strands, there is nothing to worry about. For thick strands, cutting alone is not enough; styling is much more needed after the chopping. It is indeed important to choose the right style, but efforts are needed if the hair is unhealthy. The hairdresser can help recommend treatments to help your hair recover from the damages. Considering the hairstyle you want to wear after cutting the hair is important. For example, if you want to braid the hair, don’t cut the hair too short so that the hair can still be braided. Server responsed at: 04/19/2019 4:47 a.m.